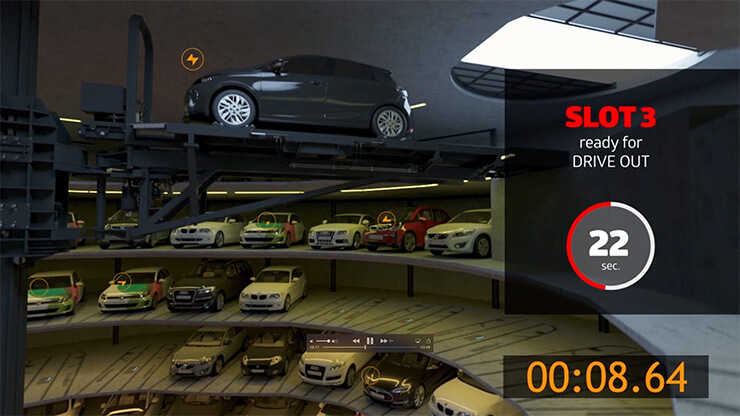 The whole parking process takes about 80 seconds per lift. 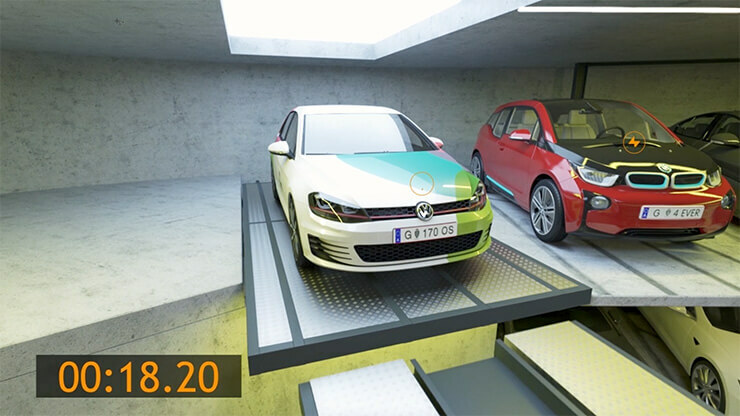 The sophisticated technical system comes from the German company PALIS, which is also responsible for the two famous parking towers in the VW Autostadt in Wolfsburg Germany. That system has been running maintenance-free for 15 years. 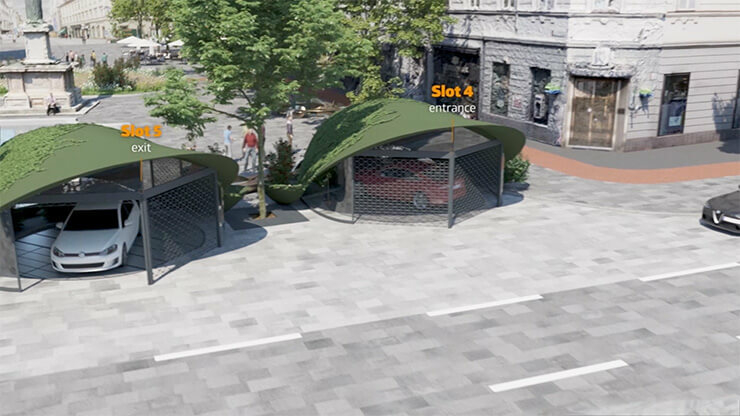 The Smart Urban Park System is a future-oriented, emission-free and easy to construct parking system with a car parking capacity of 200 to 400 spaces, ideally suited for congested city centers. 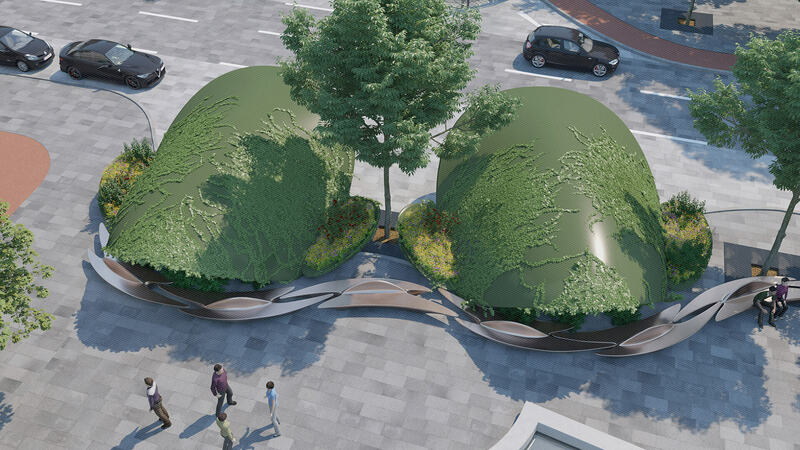 As the motor of the vehicle is already turned off at the ground level, Smart Urban Park can score points with complete CO2 neutrality. The future of mobility is taken into account by means of an ingenious E-charging system. As soon as a car is parked in one of the parking spots, if required, it is autonomously charged via integrated charging modules on the floor. The e-vehicle owner always gets back a completely charged vehicle. Parking costs and additional services, such as charging, are easily billed via the SUP®app. 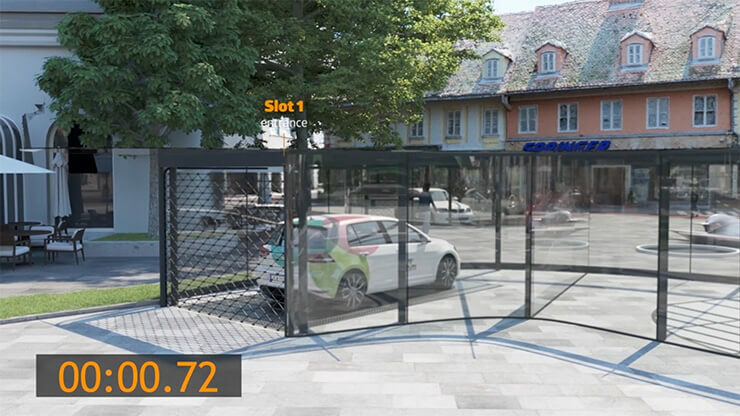 As the motor of the vehicle is already turned off at the ground level, Smart Urban Park® can score points with complete CO2 neutrality. The future of mobility is taken into account by means of an ingenious E-charging system. As soon as a car is parked in one of the parking spots, if required, it is autonomously charged via integrated charging modules on the floor. The e-vehicle owner always gets back a completely charged vehicle. Parking costs and additional services, such as charging, are easily billed via the SUP app. When returning to your car, you have all the time you need to load and reenter. 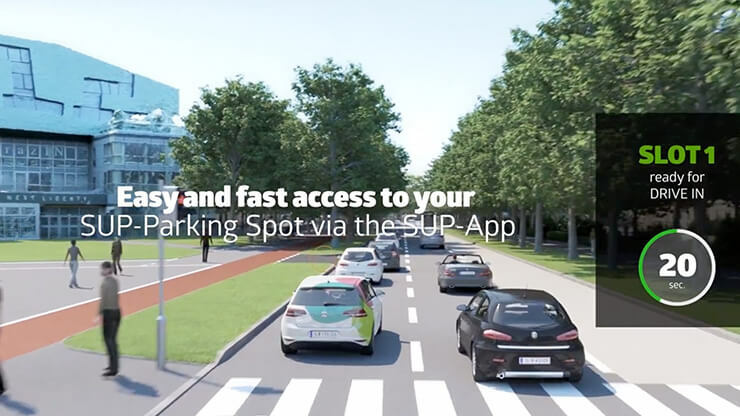 The SUP® system maximizes parking spaces with our limited space and thus makes a crucial contribution to reducing the amount of cars above ground. 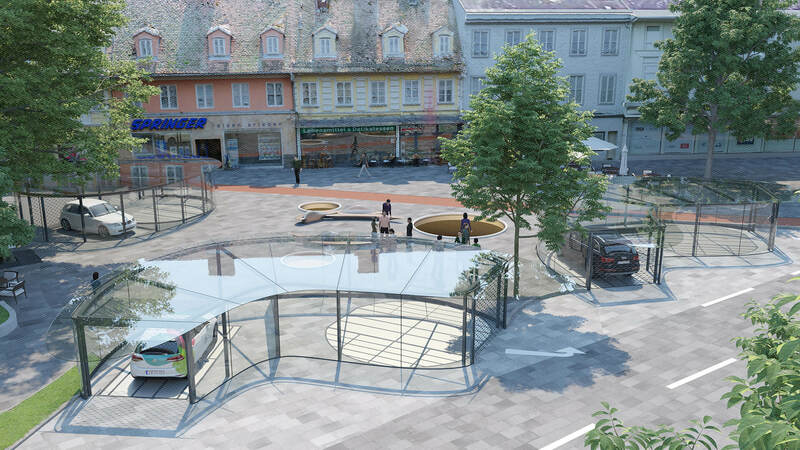 The system provides an answer to the increasing problem of space in congested city centers - The SUP system maximizes parking spaces with our limited space and thus makes a crucial contribution to reducing the amount of cars above ground.